Visit this link for more details about this group painting holiday and about the EARLY BIRD REGISTRATION DEADLINE! 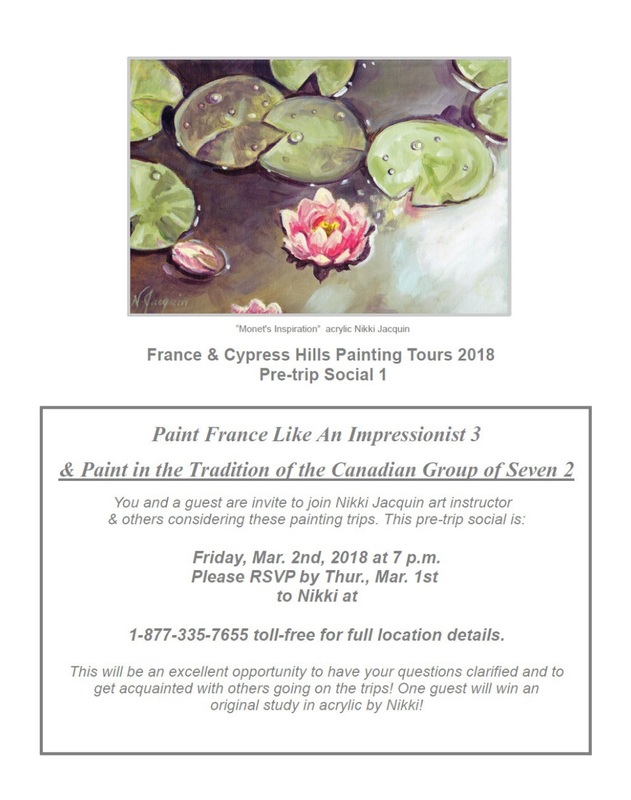 I would also like to invite you and a guest to a pretrip social Mar. 2nd, 2018 at 7 pm! Its a great opportunity to meet others going on the trip and to have your questions answered. RSVP by Mar. 1st, 2018 by calling 1-877-335-7655 toll free in NA.